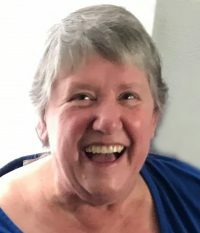 Deborah Jane Kellogg (Cartwright), 65, of Chesapeake, VA, formerly of Hornell, passed away Tuesday, April 16, 2019 at Sentara Princess Anne Hospital, Virginia Beach, VA., following a battle with leukemia. Born in Hornell, NY, she was the daughter of Ruby Helen Kellogg. Debbie was a graduate of Canisteo Central School. 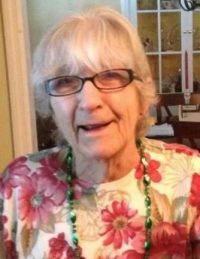 She was a long-time employee of Morrison Knudsen in Hornell. 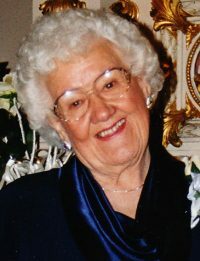 More recently she was retired from Northrop Grumman Shipbuilding, Newport News, VA, where she took great pride for many years in working on a variety of our nation’s military warships. 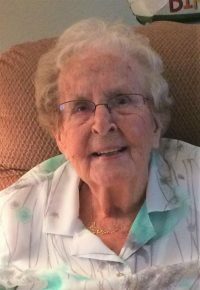 She loved spending time with her family and was an avid card player. She hosted and attended many family get-togethers. Debbie could take the worst moment and still keep a smile and make others smile. She believed life was too short to not enjoy every moment and create as many stories as possible to share. She was predeceased by her brother, Lonnie Kellogg. Debbie is survived by three children, Chad Kellogg and his former wife Courtney of Chesapeake, VA, Kara Srednecki (Cartwright) and her husband Dave of Portsmouth, VA, Laura Cartwright of Virginia Beach, VA, and eight grandchildren, Skylar Kellogg and Sean Kellogg of Chesapeake, VA, Julian Anderson of Killeen, TX, Aiden Srednecki, William Srednecki, Kevin Srednecki, Aurora Srednecki and Nathaniel Srednecki all of Portsmouth, VA. Also surviving are two sisters, Fran Makitra, Chesapeake, VA, Shirley Miller, Hornell, NY, and two brothers, Richard Kellogg of Hornell, NY, and Leslie Kellogg of Florida. At Deborah’s request there will be no calling hours. Private graveside services will be held at Rural Cemetery at the convenience of the family. 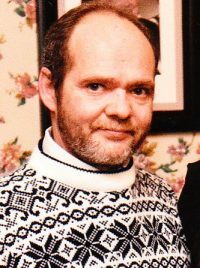 Mark Duane Green – 58 – of 1905 Hanneman Road, Alfred Station, NY, died early Friday morning (April 19, 2019) at the Hart Comfort House in Wellsville, NY, following a long illness. Born in Hornell on September 15, 1960, he was the son of Duane & Shirley (Nye) Green. Mark grew up in Alfred Station and was a graduate of Alfred-Almond Central School (class of 1978). He had been employed for a time at the former Giant Food Mart in Alfred Station. For many years Mark resided in California, primarily in the Los Angeles / Long Beach areas. While living in California, he was employed at a Lawn Care Service and also served as a sales rep for several Office Supply Companies. Returning to the Alfred Station area about 10 years ago, served as a sales rep for Spectrum of Hornell and also Shorts Oil of Wellsville. 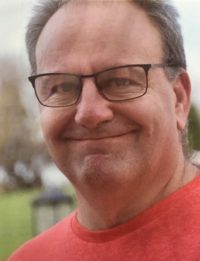 In his younger years, Mark enjoyed playing in several men’s softball leagues both locally and also in California. 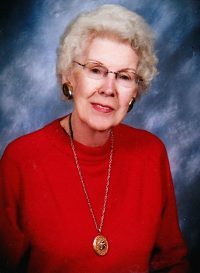 He was an avid golfer who enjoyed playing golf courses throughout the area. As a sports fan, Mark loved rooting for the Baltimore Orioles (MBL) and also the Washington Redskins (NFL). Having a special love for horse racing, he enjoyed spending “Quality Time” at OTB and visiting racetracks. He was never afraid to place a friendly wager or two — just for fun! Mark was preceded in death by his father, Duane A. Green who died July 4, 2013 and also his nephew, Eric Green who died November 18, 2013. Surviving are his mother, Shirley Green of Alfred Station; 2 brothers, Matt Green & Mike Green, both of Alfred Station; 2 nieces, Elizabeth Shepard & Sarah Green; 2 nephews, Bryce Green & Hoss Coates; his great-niece, Clementine McPhail; 2great nephews, Dewey McPhail and Colton Coates; several aunts, uncles & cousins. At Mark’s request there will be no calling hours. Family & friends are invited to attend a Memorial Service on Saturday (April 27, 2019) at 5:00 PM at the Almond Union of Churches with Rev. Charlie Emerson officiating. 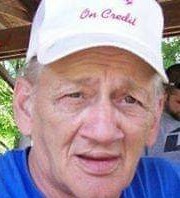 Mark’s family request that in lieu of flowers, memorial contributions in his name be made to the Hart Comfort House, 141 East State St., Wellsville, NY 14895 or to the Almond Union of Churches, Main St., Almond, NY 14804. 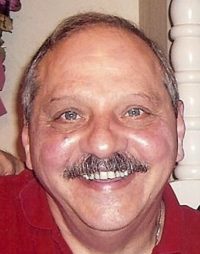 Paul Michael Nardecchia – formerly of Hornell, NY, passed away on December 19, 2018 at his home in Fort Bragg, CA. Born in Hornell on January 21, 1947 at Saint James Mercy Hospital, he was the son of the late Rose (Miele) & Elvidio Nardecchia. After his discharge from the Marine Corp, Paul worked for United Airlines in Rochester, NY until transferring to Los Angeles, CA and then onto San Francisco, CA. He also worked for TAP Air Portugal while in San Francisco. Paul received his Bachelor’s and Master’s Degrees in Business Administration and Computer Science from the University of San Francisco. He started his own computer consulting business and achieved several awards from pharmaceutical companies for his excellent work. He loved to travel, was an avid reader and collector of first edition books. Paul loved animals, especially his pure bred beagles, Zach and Zina. He was a very generous and caring person. He loved to take his parents and aunts and uncles on vacation trips to various parts of the world. After he retired, Paul lived in several Northern California cities until he found his dream retirement location in Fort Bragg, CA., which is a beautiful Pacific coastal community of approximately 7000 people. He absolutely loved it there and they loved him back. He became an integral part of, and a big supporter of that community. He volunteered at the library, peeled potatoes for 1000 homeless people for their Thanksgiving dinner, helped his neighbors caring for their home and pets, fed wild homeless cats and grew tomatoes like his dad. In addition to his parents, Paul was preceded in death by two infant brothers, John and Joseph Nardecchia; and one infant nephew, Thomas James Kelsey. He is survived by one brother, Sebastian (Diane) Nardecchia of Danville, CA; one sister, Dorina (Dennis) Kelsey of Euclid, OH; two nephews, Michael (Michelle) Nardecchia of Rochester, NY, Steven (Jennifer) Kelsey of Wickliffe, OH; three nieces, Marisa (John) Looney of Danville, CA, Kristina (John Moroney) Nardecchia of Pleasanton, CA and Rosemarie (Kevin) Aubin of Lindley, NY; nine great nieces and nephews, Mara (Jason) Caccamise of Syracuse, NY, Maria (Brian Cameron) Nardecchia of Rochester, NY, Marianna and Michael Sebastian Nardecchia of Rochester, NY, Kyle (Breann Danielson) Looney of Fullerton, CA, Katelyn Looney of Charlotte, NC, Ella Looney of Danville, CA and Thomas G. and Zoe Rose Kelsey of Wickliffe, OH; two great-great nieces, Brooklyn Diane Looney and Stella Rose Caccamise; one great-great nephew; Santino Joseph Caccamise; one aunt, Barbara Nardecchia, of Tonawanda, NY; his Godson, Joseph (Laurie) Nardecchia of Buffalo, NY and several cousins! At Paul’s request there will be no prior calling hours. A Memorial Service will be held at a time & place to be announced. Camp Rainbow Gold; A charity that provides year round camps, services and college scholarships for children battling cancer. This is a nonprofit that his niece Kristina founded and has helped nurture for two decades. It assures every penny will go toward the children. Mendocino Coast Humane Society. Paul had a love for animals. The Mendocino Coast Humane Society’s mission is: To contribute to a better life for animals and to inspire public awareness of animals’ needs.